Candice Olsen is a renowned Canadian designer, who is gaining her popularity by her awesome remodeling tips. She also has a Designer TV show, Divine Design where she helps people to master their decorating skills. 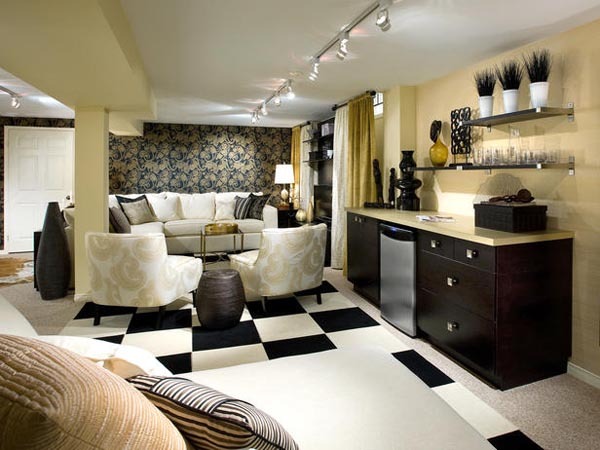 In this post, we will focus on the basement décor ideas from Candice Olson. Candice Olson blends different design ideas, to create her unique style of décor. Her décor ideas go from using smooth colors and different textures to create underground family rooms. She uses different hues of brown with a bit touch of green to light up the atmosphere. 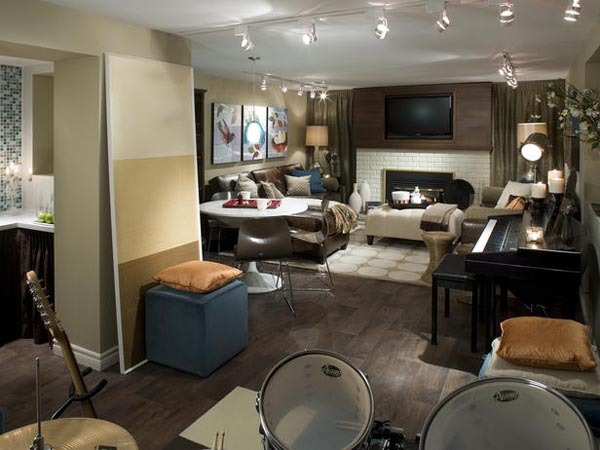 If your basement is big enough, you can create a family lounge room. It can be divided into two subrooms, one being a small kitchen, or a room for craft, the other being a TV theater. In that picture she used the tints of blue for some air into all light brown room. 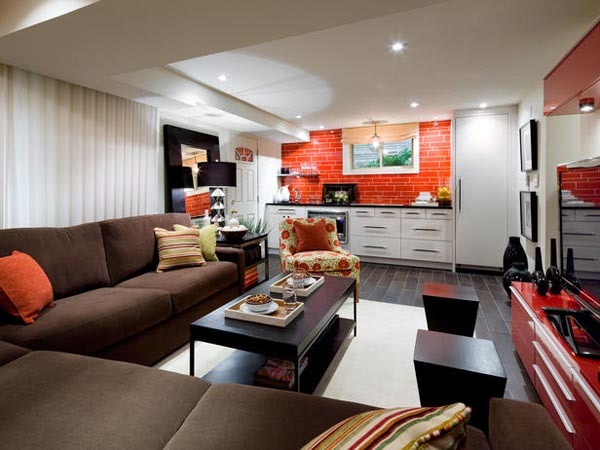 Candice Olson creates not only traditional and calming basement family rooms. 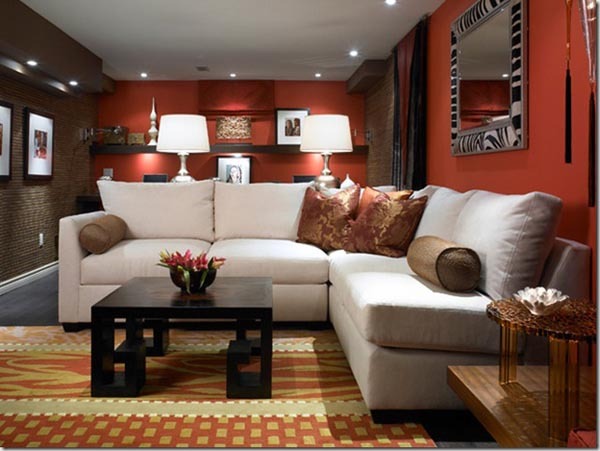 Using bright red colors, with bold striped pillows and wide plank hardwood for floor, she has created a basement with a touch of Mexican decor. It is interesting how she used white blinds through the whole back wall to create an illusion of a large window behind the brownish sofa. 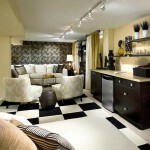 Or it can be Indian inspired basement, with white and black bright patches. 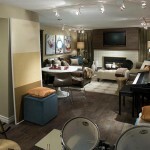 Or, again, if you have a big basement space, you can create a multi-functional basement. It can include lounge zone, gym zone and even multimedia zone. 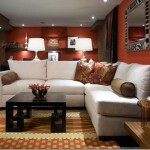 She is using neutral colors that are underlined by dark blue tints and dark brown furniture and other details. So, whether you are prone to traditional design ideas, or some exotic basement décor, Candice Olson has a great deal to offer for all of your whims.